therefore stands a fortress as thread .. Built on a hilltop, Kumbhalgarh is a Mewar fortress located on the banks of Banas River cradled in the Aravalli Hill in Rajsamand district of Rajasthan state in western India. It is the second very most important citadel in Mewar region after Chittorgarh. The palace is known as the silent hill station of Rajasthan standing majestically on the high ridge with elevation of 1100metres (3600feet) above sea level. The longitudinal and latitudinal distance of the fort is 25.1475° N, 73.5831° E.
It was built by Rana Kumbha during the course of 15th century. In Kumbha’s time the kingdom of Mewar extended from Ranthambore to Gwalior, including vast tracts of present-day Rajasthan and Madhya Pradesh. Kumbhalgarh was once the seat of Prince Samprati, who was the Jain descendants of the erstwhile Mauryan Dynasty, who ruled here in the 2nd century defining the boundaries between Mewar and Marwar. Rana took around 15 years to built this fort. The sentimental significance of the fort also accounts as the birth place of Maharana Pratap who was a great king and warrior of Mewar. The fort was built to serve a refuge for Mewar rulers in times of strife. In 1443, when the king started the construction and eventually the structure crumbled to ruins by the sunset .But then a spiritual preceptor addressed the king to offer human voluntarily sacrifice in order to ensure that the battle walls being constructed by Rana would be strong enough to withhold the siege. The king sent out word, but no one volunteered. One day a soldier from the commandment volunteered and been ritually decapitated. Today the main gate of the fortress, Hanuman Pol contains a shrine and a temple named as Vedi temple to perpetuate the great sacrifice. 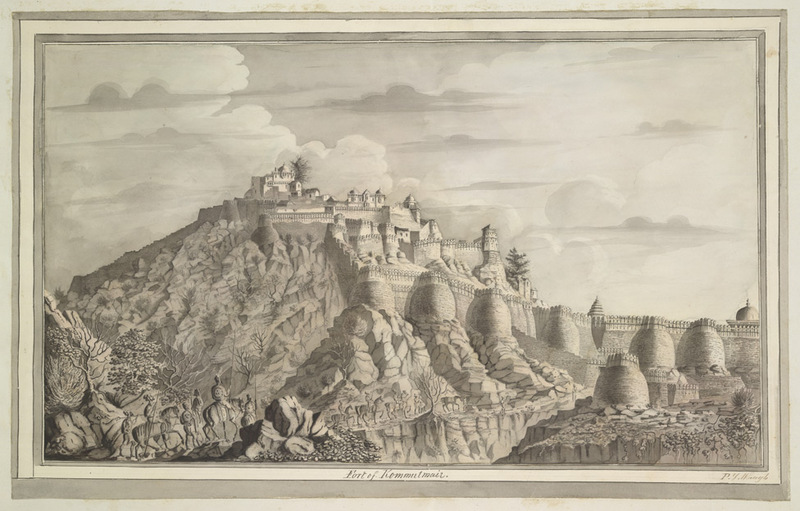 Because of its hostile topography the fort remained inaccessible to the mighty Mughal even after combining the armies of emperor Akbar of Delhi , Raja Mansingh of Amber and Raja Udai Singh of Marwar. The invincible fort is the most formidable in the state of Rajasthan. The frontal serpentine 36km long and 15 feet thick wall with soaring towers is the most impressive. The wall is claimed to be the second longest continuous wall after Great Wall of China. The wall is not in straight pattern but have many steep ascends and descends throughout its length covering mountain cliffs and valleys. According to the legends, it is believed that eight horses could run on this wall side by side. The wall also serves as an epitome of architectural excellence and exquisite art of Rajput era because the walls are still unblemished and intact inspite of being 700 years old. 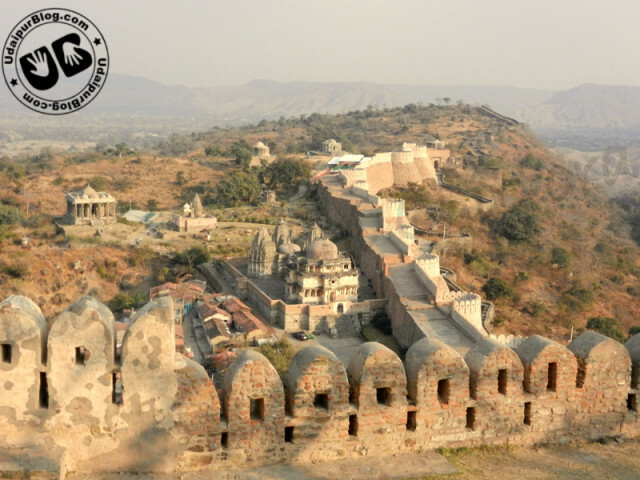 The impregnable fort is protected by 13 mountain peaks of Aravalli range, seven huge imposing gates just like the sentinels and 7 steel gray ramparts being folded within another with the walls empowered by arched bastions and colossal watch towers. The top of the fort offers a spectacular panoramic picturesque of sand dunes of Aravalli range and overlooks the approaches from Ajmer and Marwar. The fort can be accessed by any of the seven gates which are named as Aret Pole, Hanuman Pole, Ram Pole, Vijay Pole, Nimboo Pole and Bhairon Pole. At the top of the cliff Badal Mahal, also known as the palace of the clouds is situated. The two-storied structure is divided into two interconnected distinct portions namely the Zanana (quarter for females), and the Mardana Mahal (quarter for men) decorated with pastel colored murals of 19th century. The color scheme of the rooms is a contrast to the grim and earthy fortress. The Zanana Mahal is composed of stone jalis which facilitated the queens to see the court proceedings and other events in privacy. All the chambers are provided with ingenious air conditioning system which draw cool air into the rooms and ventile them from the bottom. The fortress consists of 360 temples within the fort out of which 300 of them are ancient jain temples and rest are hindu temples.some of them are Ganesh Temple, Vedi Temple, Neelkanth Mahadev Temple, Parshvanath Temple, Bawan Devi Temple, Golerao Group of Temples, Mamadeo Temple, Pitalia Dev Temple. The Neelkanth temple is situated near the base of the plains containing a six feet high sculpture of Lord Shiva. The rana offered regular prayers to the deity in this temple and was decapitated by his own son in this temple while offering prayers. The thick woody forests encompass the vibrant and rich foliage along with a rich variety of fauna. 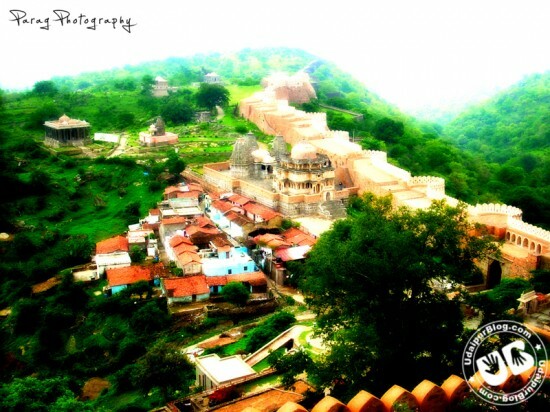 The fort is encircled by Kumbhalgarh wildlife sanctuary sprawled in an area of 578 square kilometer (223 square miles). The sanctuary abode a shelter to a number of endangered species. The species found are hyena, panthers, leopards, wolfs, cats, the four horned antelope (chausingha), blue bulls, sambhars, crocodiles, peacocks, bear, wild boars, jungle fowls, flamingoes, spoonbills, parakeets, grey pigeons, yellow footed pigeons, egrets, cormorants, golden oriole and many more. Horse lovers and adventure seekers can enjoy the thrill of riding and camping in the sanctuary. Each group is accompanied by local tour operators. Horses, tents, food and fodder are provided by the Aohdin (owner of castle-type cottages) on prior notice at a very reasonable cost. The fort is open to the public and can be easily accessed from Rajasthan state government roadways ordinary and deluxe buses (102 km) or from the Udaipur airport (84kms.) or from the Phalna railway station serves to be the closest railhead. The months of September to march serve as the ideal time to visit the palace and in clothing one must prefer cotton tropical clothes in summers and light woolen clothes in winters. One can also enjoy the Kumbhalgarh festival celebrated during the winter season to promote Kumbhalgarh as a heritage site. Tourists can be amazed by the serenity and beauty of the place with its enthralling and verdant landscapes, deep jungles and pretty gorges .The fortress is spectacularly lit by various lights and lamps each evening. Kumbhalgarh is not just these fabulous monuments and magnificent citadels, but abundance of natural splendors is gracefully bestowed on it makes it a pictorial location and an attractive tourist destination. Engineering Student and Writer @ UdaipurBlog.com, Loves Photography.